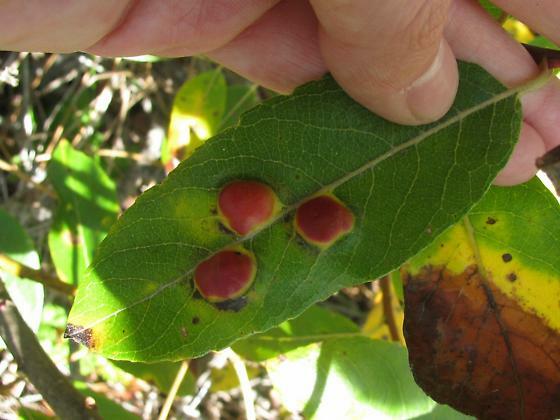 On a broad-leafed willow species. Top of leaf. P. californica?